HP Run Results Viewer of UFT 12.52 shows Could not load run result. message on opening test result. Please review if there are functions in your test scripts (or test calls to other scripts) that touch the resultsdirectory,  there has been issues where the test cases have code lines to manipulate the results directory to delete data from them. Based on your description,  it only happens with some test instance,  not all test cases; which indicates that those test instances are from the same test case which have code or functions with code lines that touches the resultsdirectory. I created new test in UFT 12.52 which does just simply a = 2 + 2, run it, tried to open results in HP Run Results Viewer, the result was the same Could not load run result. message (the test does not even involve objects not in Descriptive Programming neither in Object Repository style). So this is not the reason. 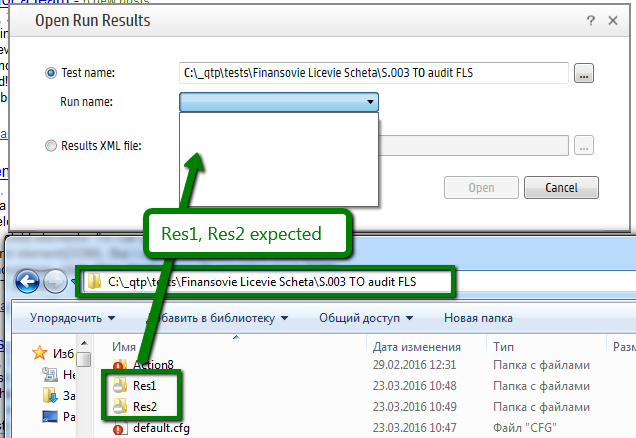 f) Removed HP Run Results Viewer (by running reinstallation of UTF, selected Change and deselected Results Viewer), run test in UFT and result is still shown in internal results viewer. How can I open any run result (not only recent) in HP UFT Result Viewer (internal) or in Run Results Viewer?